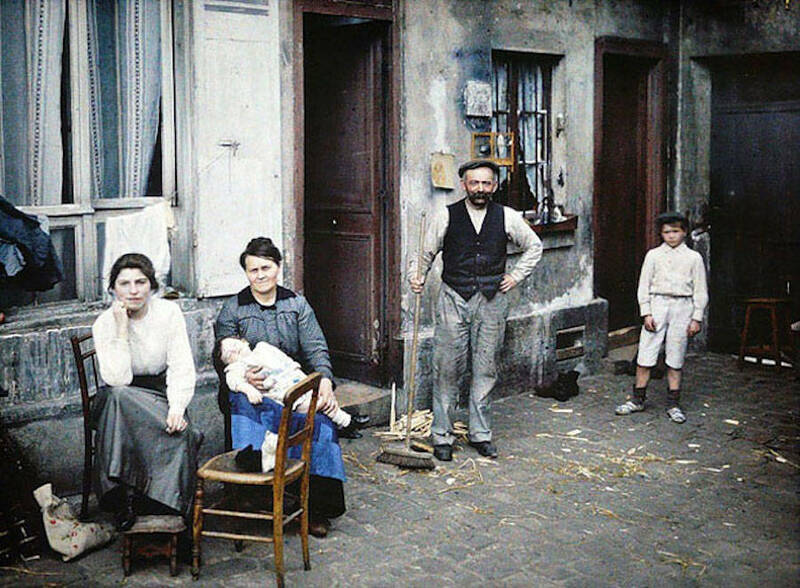 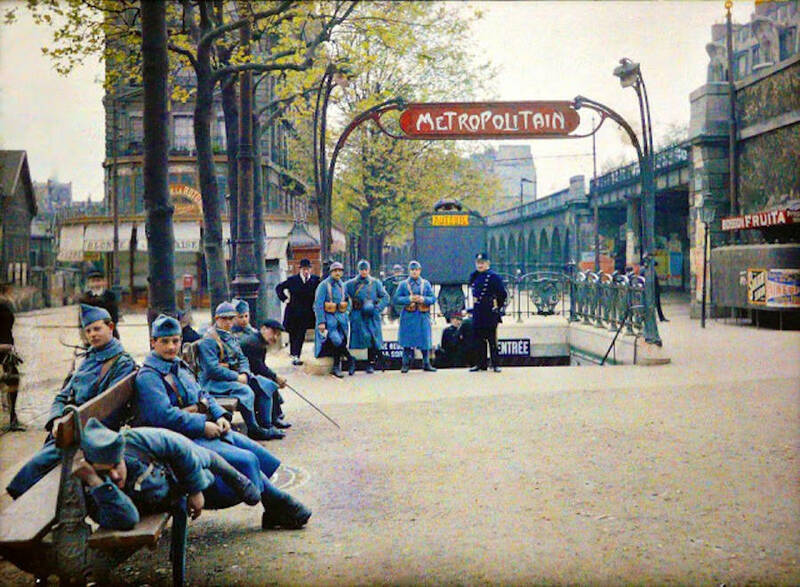 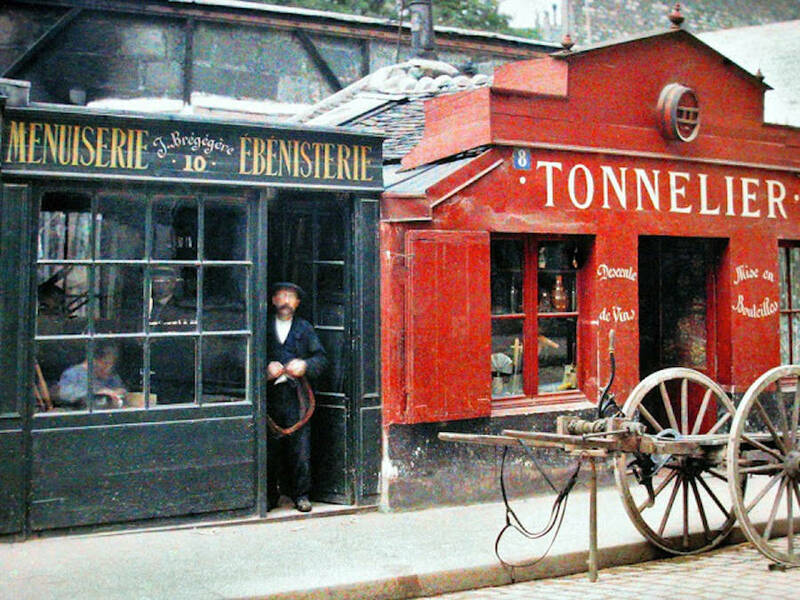 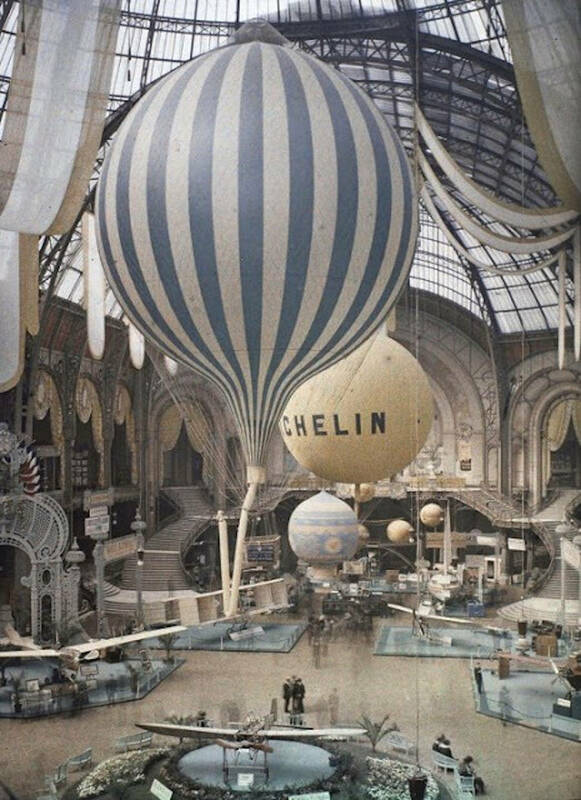 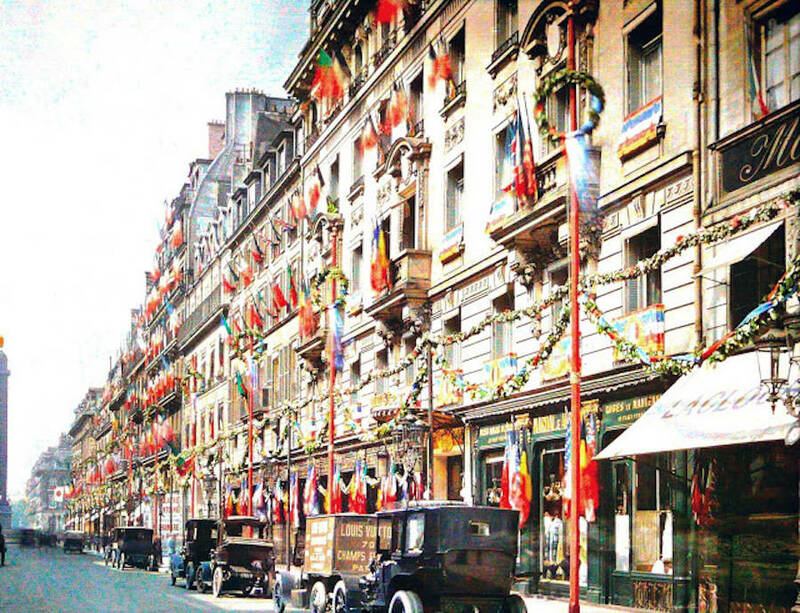 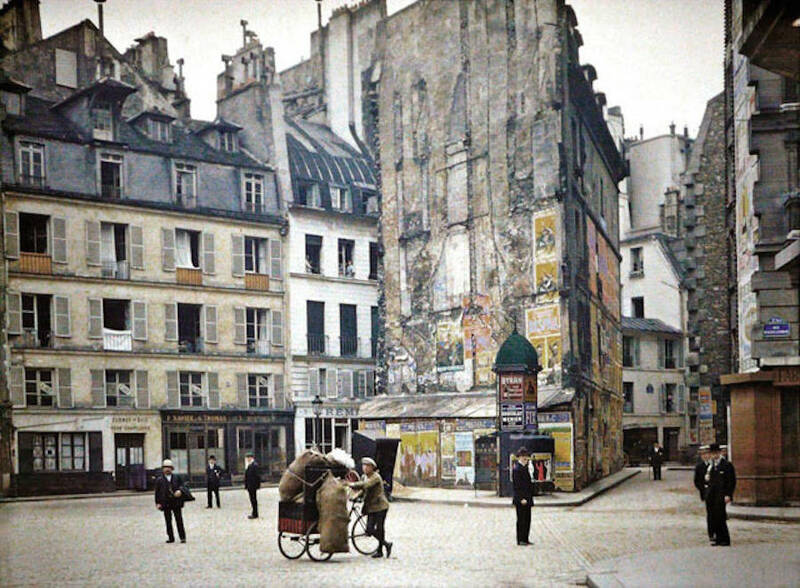 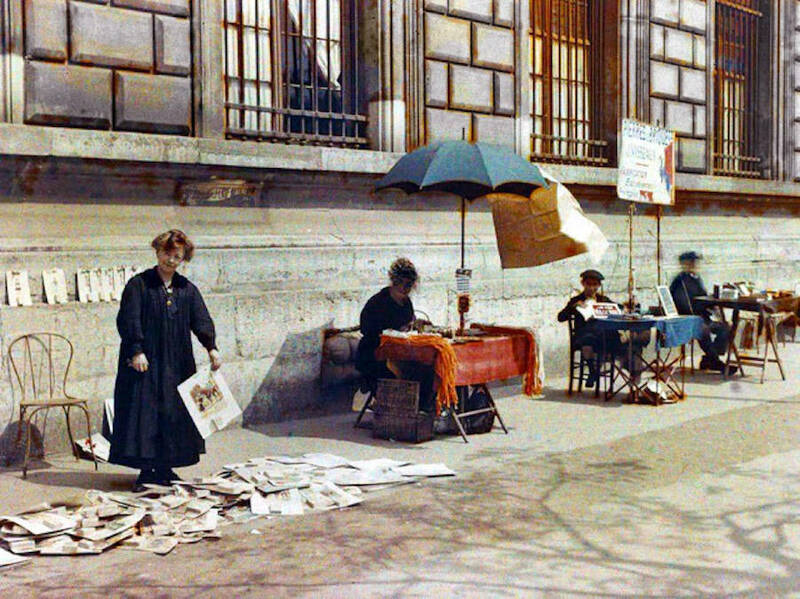 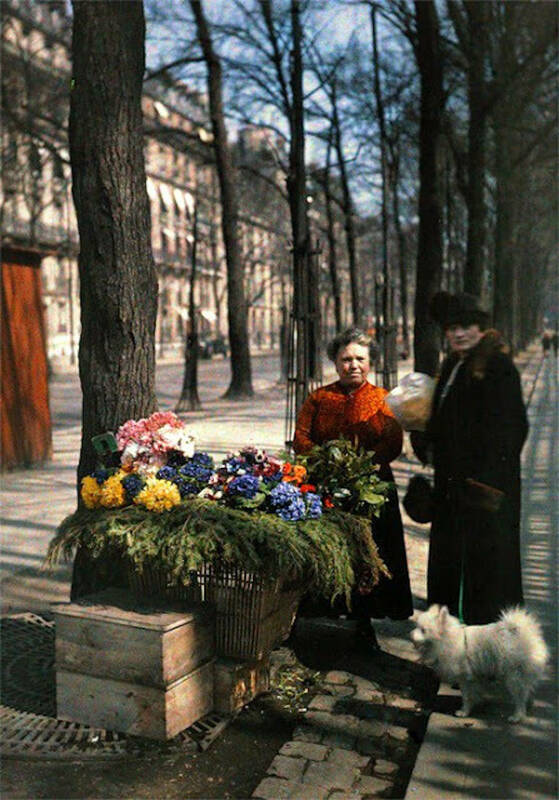 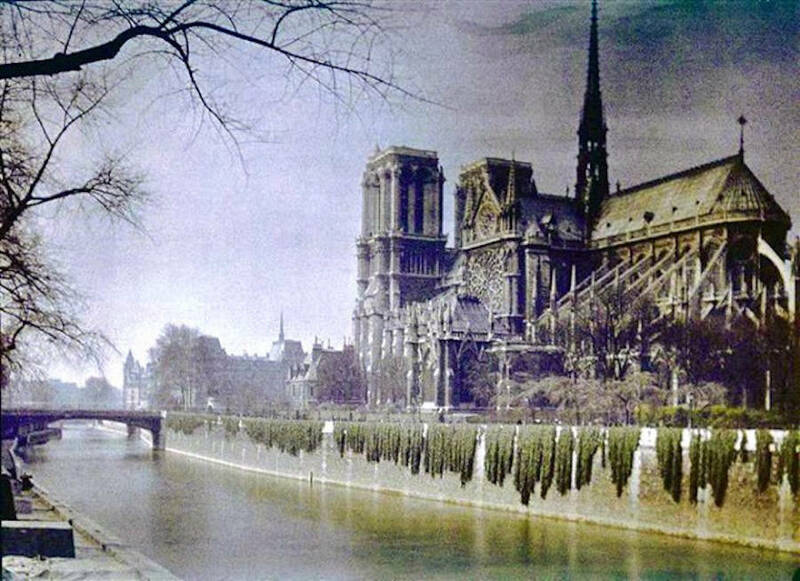 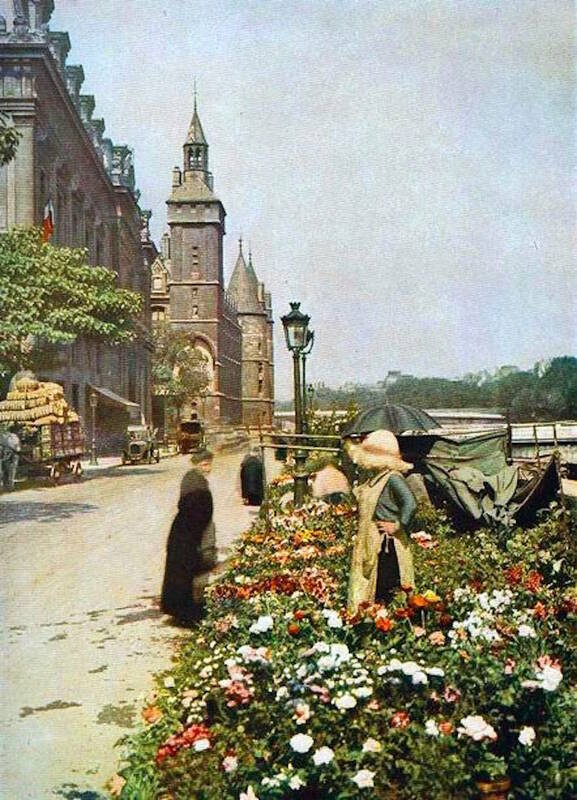 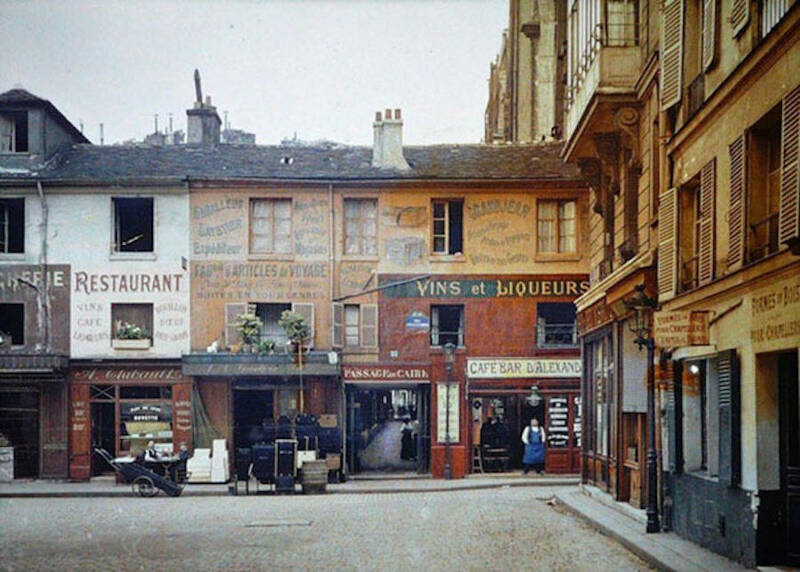 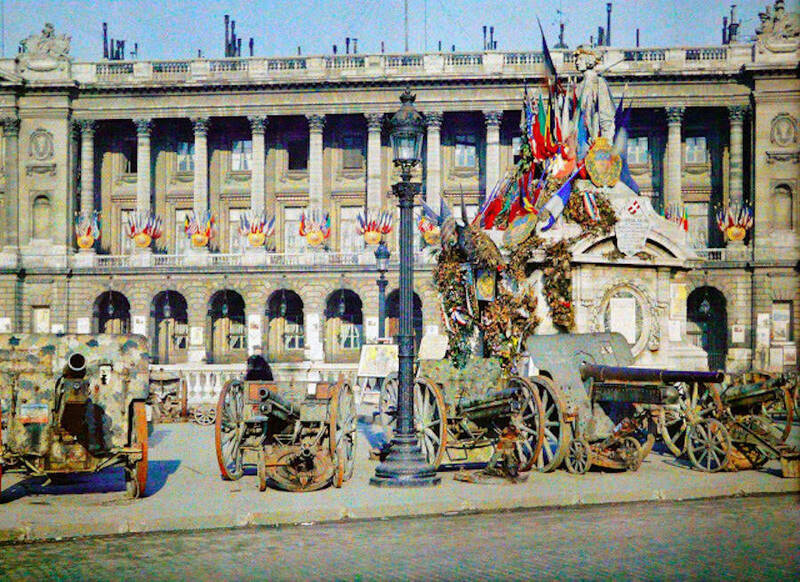 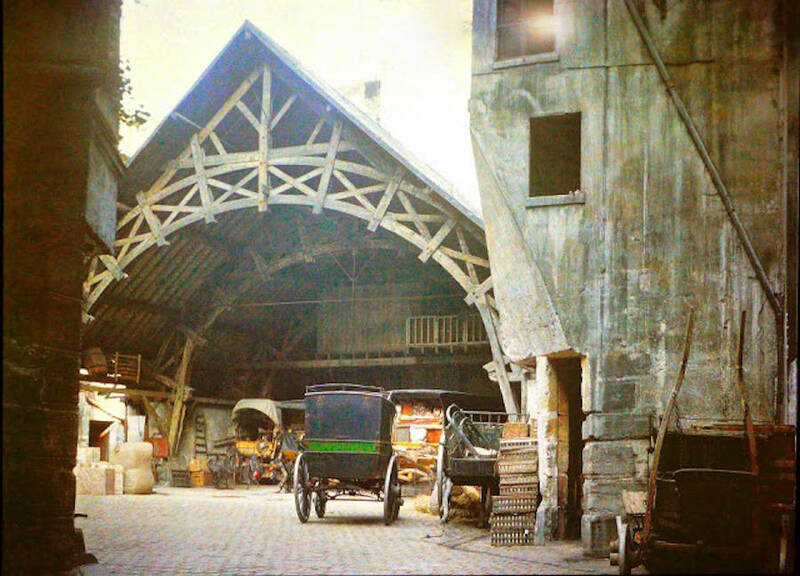 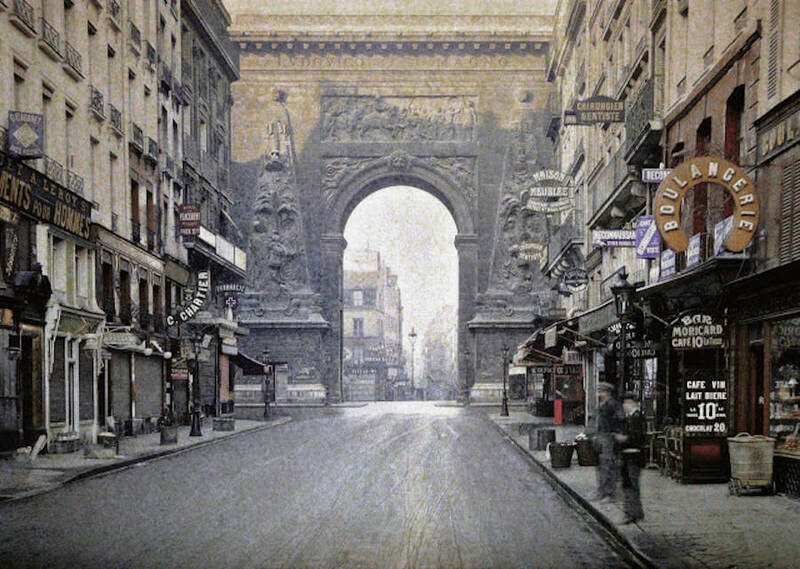 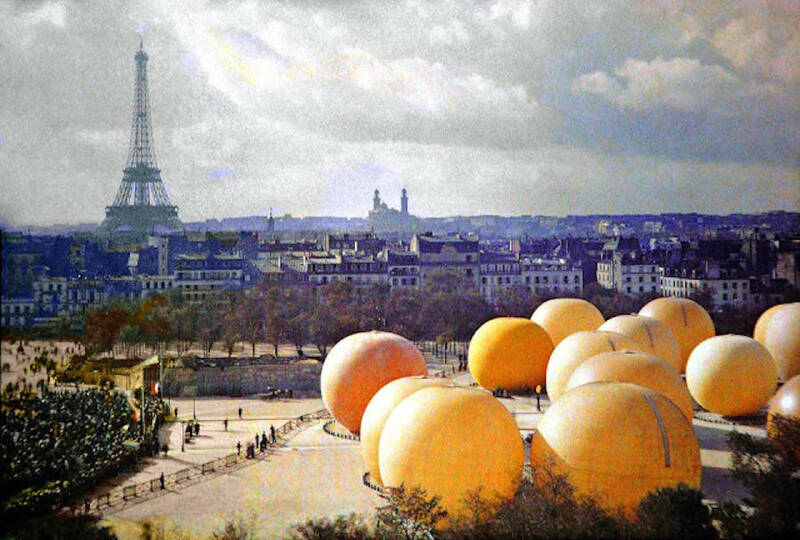 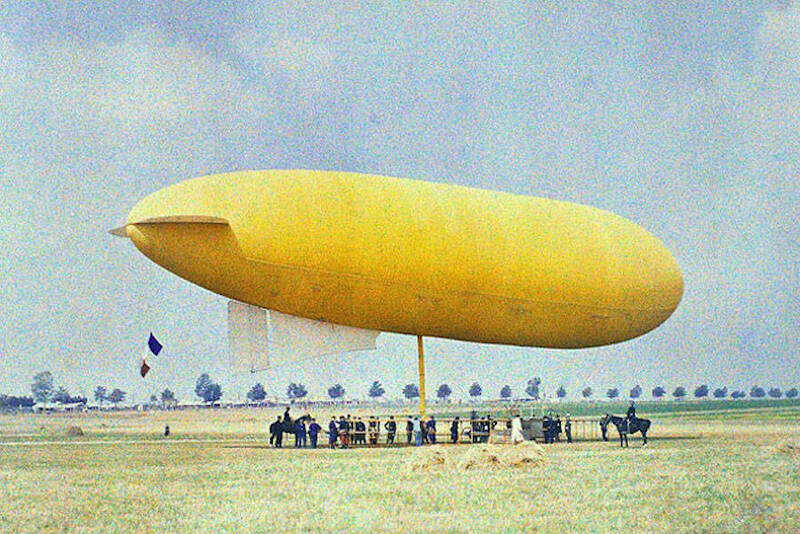 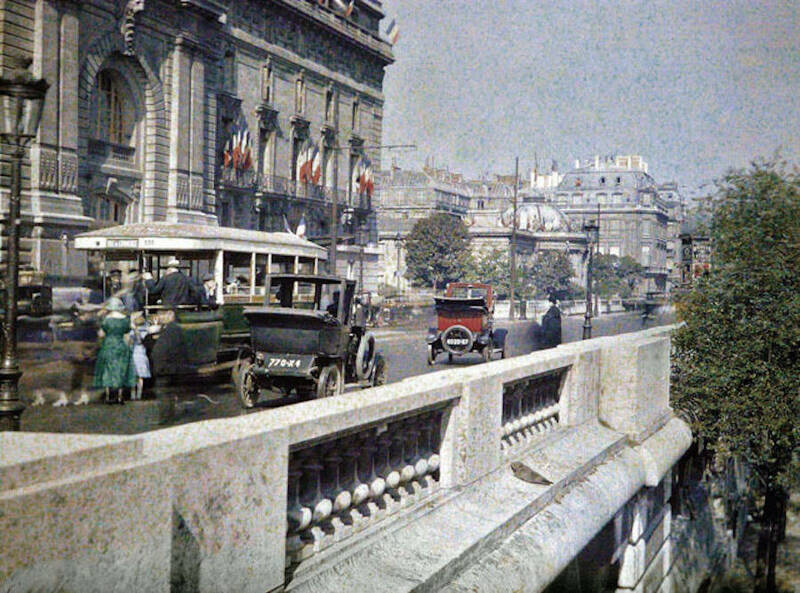 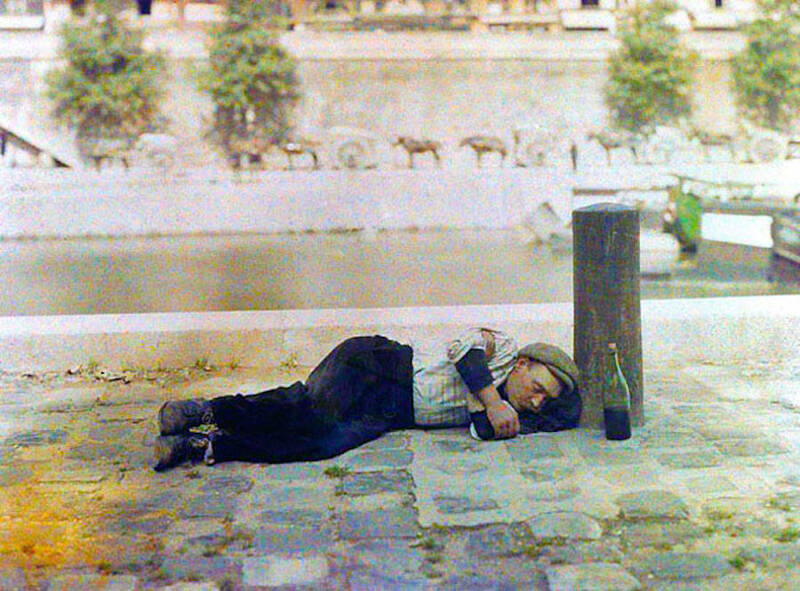 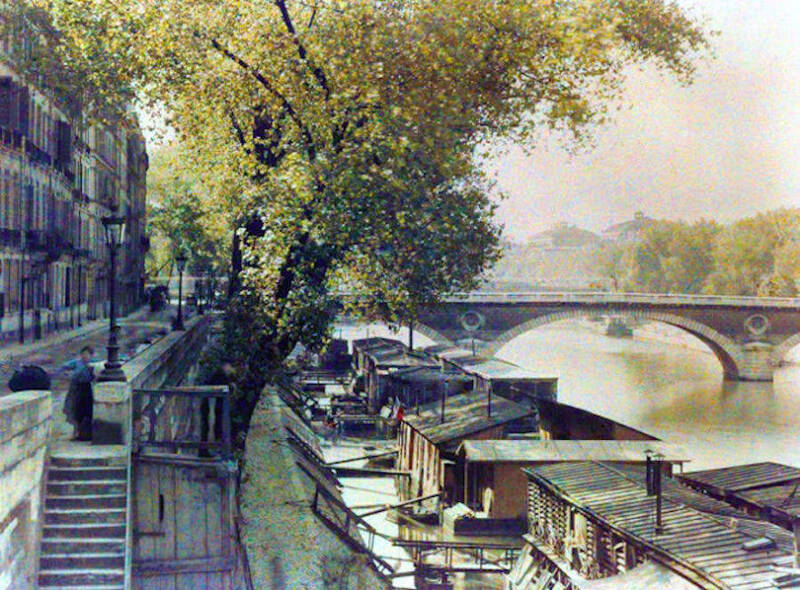 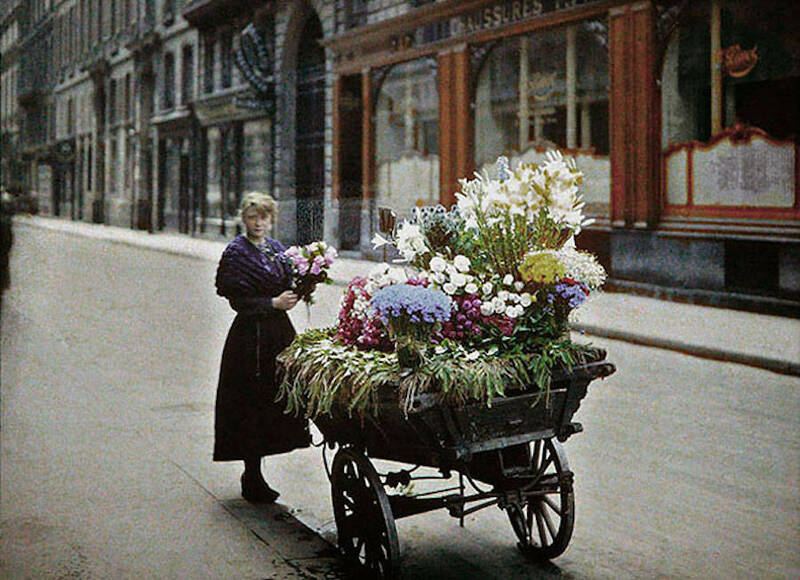 These gorgeous color photographs of Paris in 1914, at the end of the La Belle Époque, were made using Autochrome Lumière technology, a technique developed in 1903 by the Lumière brothers. 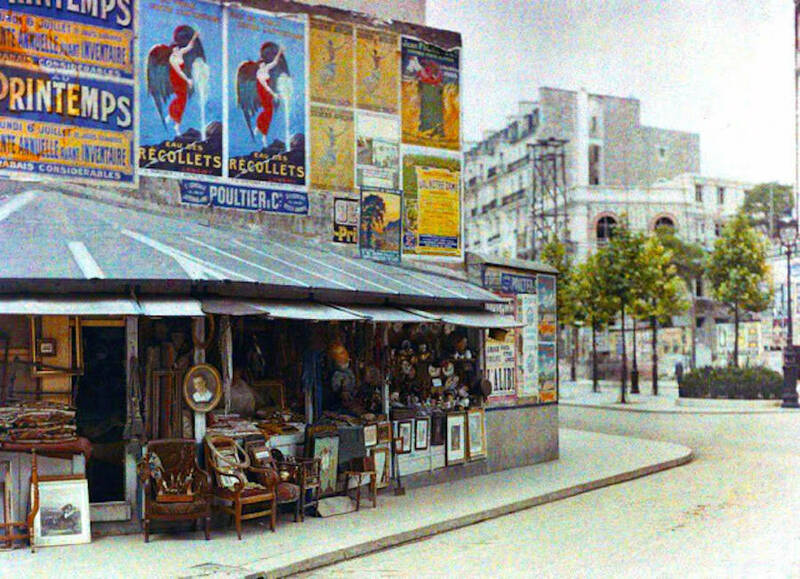 These gorgeous color photographs of Paris in 1914, at the end of the La Belle Époque, were made using Autochrome Lumière technology, a technique developed in 1903 by the Lumière brothers. 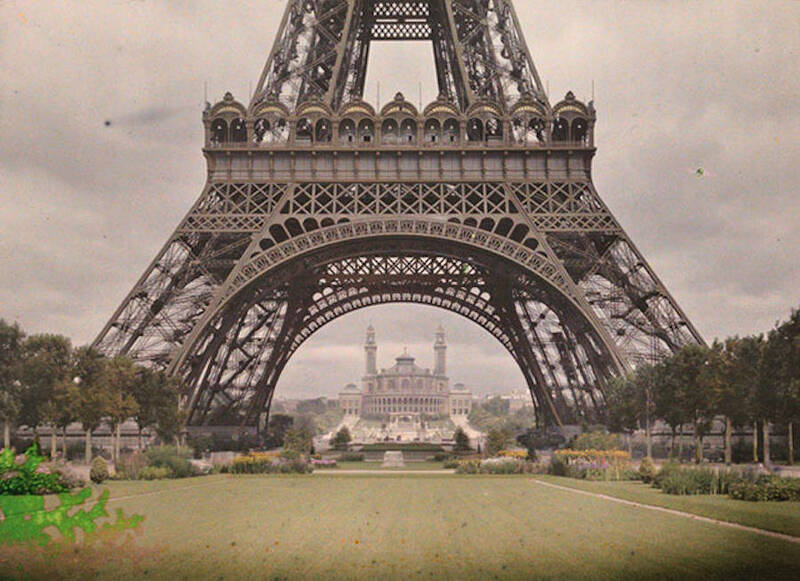 Through them we see Paris on the cusp of seismic change. 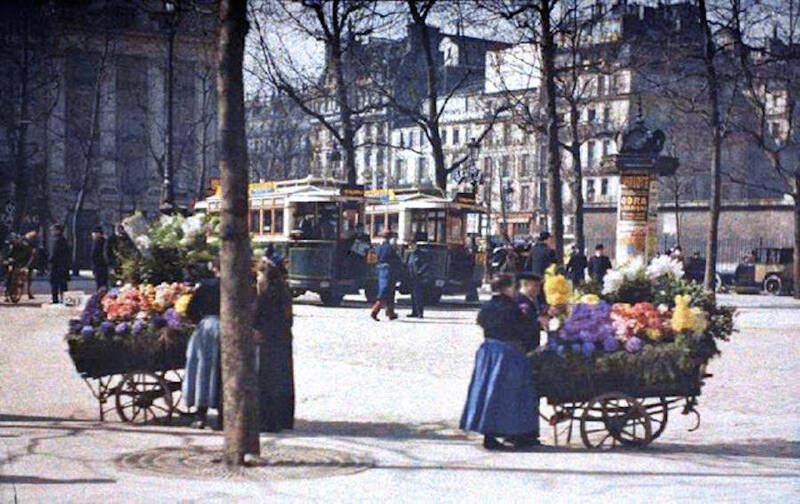 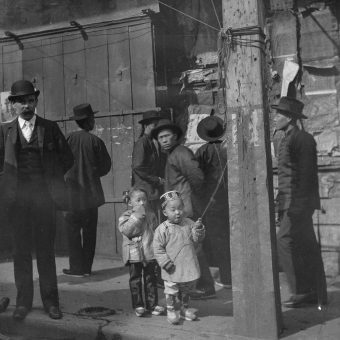 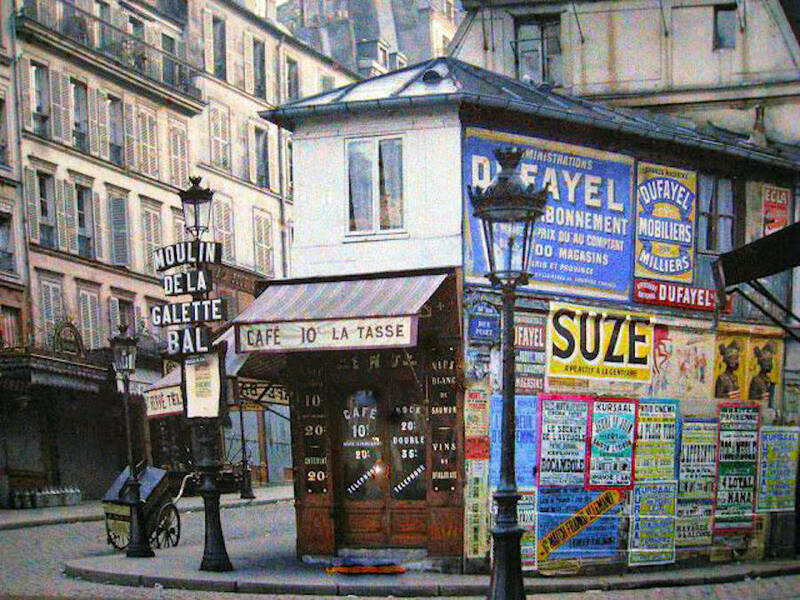 It’s as near a view Parisians had of their vibrant, confident and permissive city at the time. 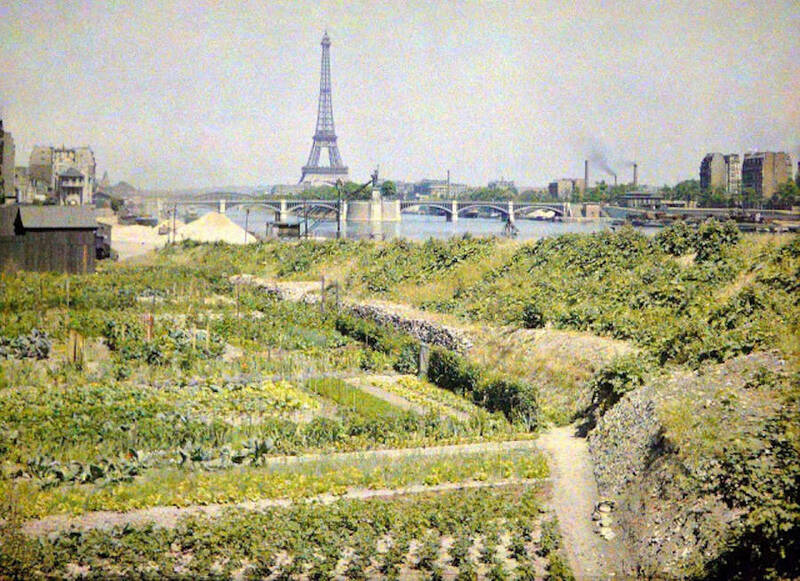 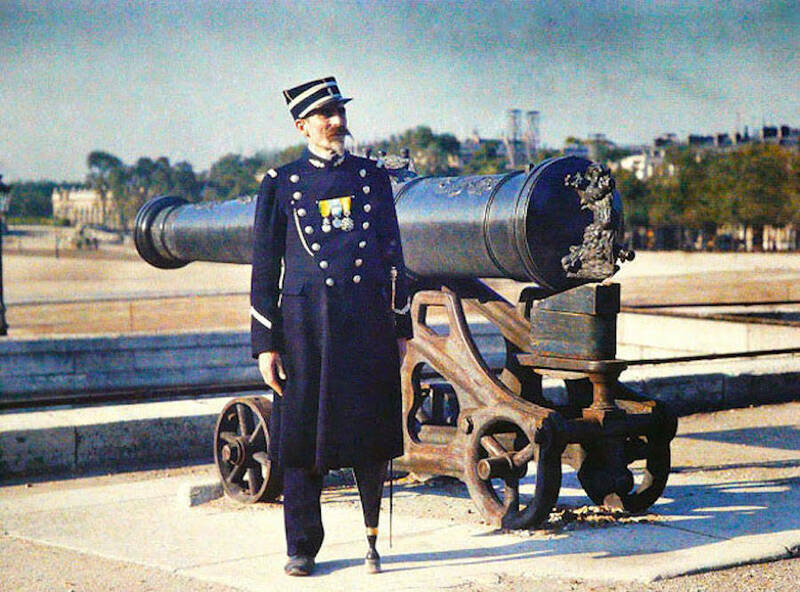 As Josh Jones writes: “In France, the horrors of the war prompted its survivors to remember the years before it as La Belle Epoque [The Beautiful Age], a phrase – wrote the BBC’s Hugh Schofield in centenary essay La Belle Eqoque: Paris 1914, – that appeared “much later in the century, when people who’d lived their gilded youths in the pre-war years started looking back and reminiscing.” In retrospect, it was an intense and glorious time when convention was challenged – divorce was legalised; free state education was established – the tripartite motto ‘liberty, equality, fraternity’ was to the fore and the ruins and carnage of World War 1 were unthinkable. 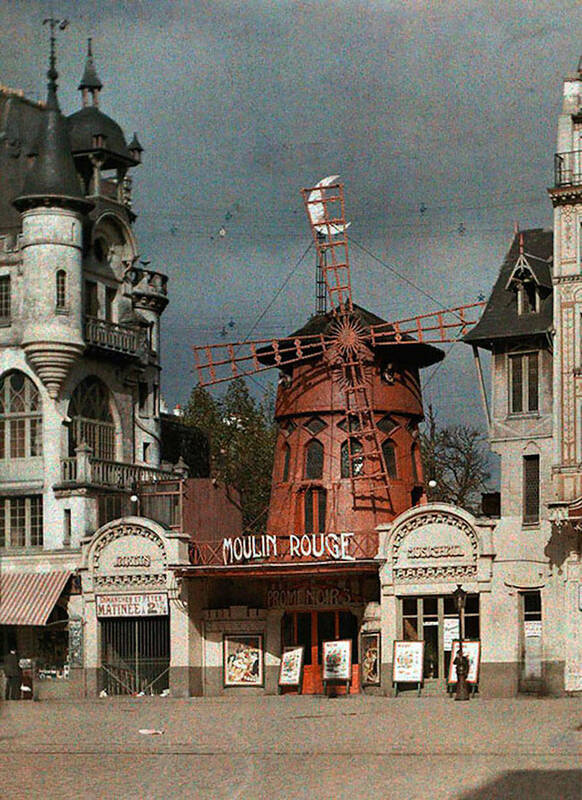 No place is more reminiscent of La Belle Époque than The Moulin Rouge, the risqué cabaret venue where women full of vitality danced the Can Can to Offenbach’s Infernal Gallop. 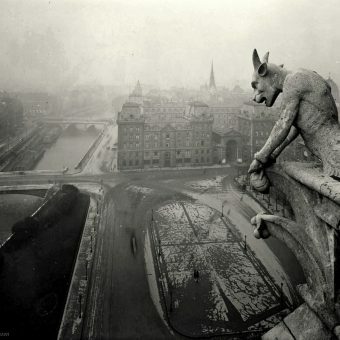 Frivolity ruled. 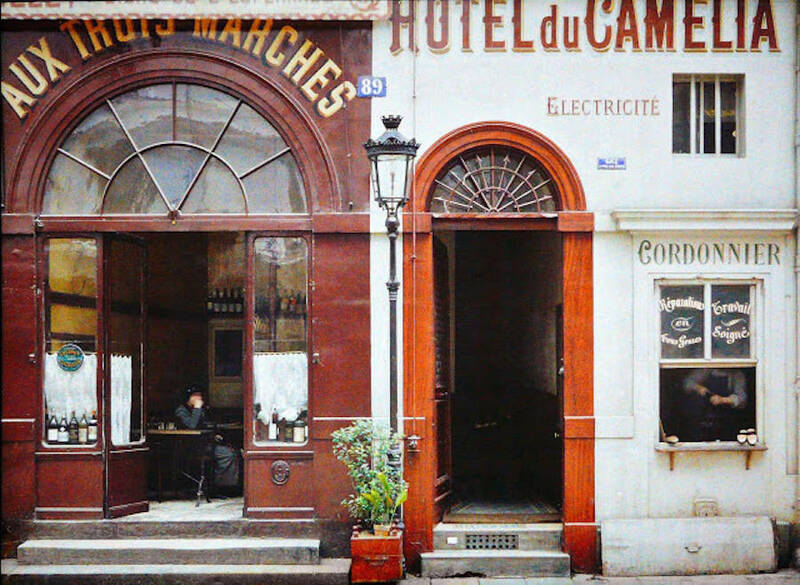 Cutting-edge technology (electricity) lit the stage and took people to places too far to reach on foot. 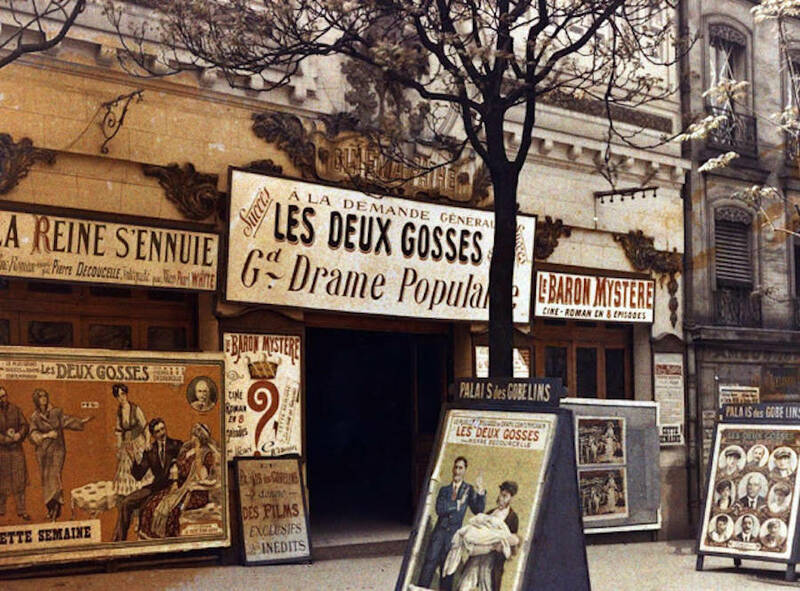 And so Parisians went out to be entertained. 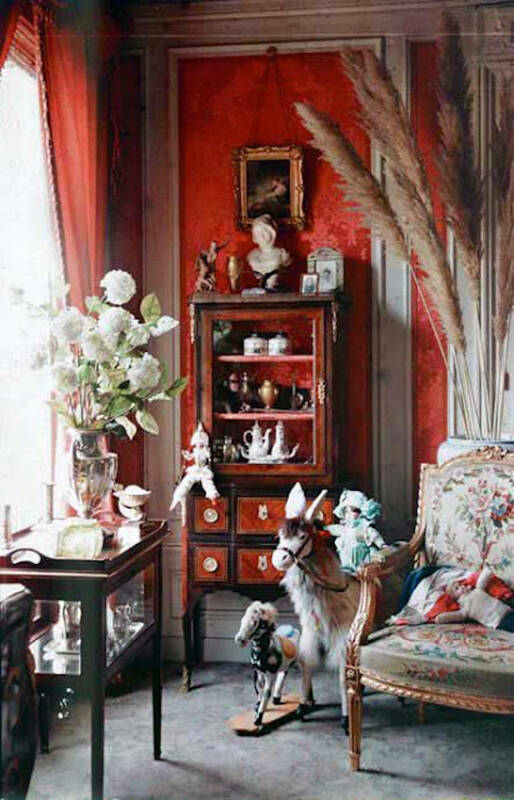 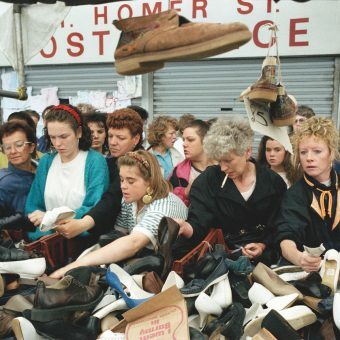 Via: Open Culture, Flavorwire, Vintage Everyday, Messy N Chic.